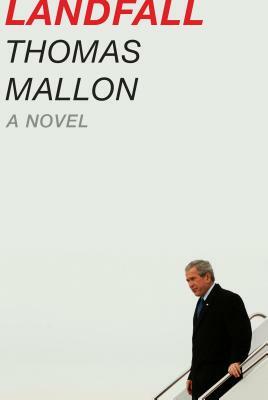 Set during the tumultuous middle of the George W. Bush years—amid the twin catastrophes of the Iraq insurgency and Hurricane Katrina—Landfall brings Thomas Mallon's cavalcade of contemporary American politics, which began with Watergate and continue with Finale, to a vivid and emotional climax. The president at the novel's center possesses a personality whose high-speed alternations between charm and petulance, resoluteness and self-pity, continually energize and mystify the panoply of characters around him. They include his acerbic, crafty mother, former First Lady Barbara Bush; his desperately correct and eager-to-please secretary of state, Condoleezza Rice; the gnomic and manipulative Donald Rumsfeld; foreign leaders from Tony Blair to Vladimir Putin; and the caustic one-woman chorus of Ann Richards, Bush's predecessor as governor of Texas. A gallery of political and media figures, from the widowed Nancy Reagan to the philandering John Edwards to the brilliantly contrarian Christopher Hitchens, bring the novel and the era to life. The story is deepened and driven by a love affair between two West Texans, Ross Weatherall and Allison O'Connor, whose destinies have been affixed to Bush's since they were teenagers in the 1970s. The true believer and the skeptic who end up exchanging ideological places in a romantic and political drama that unfolds in locations from New Orleans to Baghdad and during the parties, press conferences, and state funerals of Washington, D.C.
THOMAS MALLON is the author of ten novels, including Henry and Clara, Dewey Defeats Truman, Fellow Travelers, and Watergate. Fellow Travelers has been made into a contemporary opera that is regularly performed throughout the United States. Mallon is a frequent contributor to The New Yorker and The New York Times Book Review, and in 2011 he received the American Academy of Arts and Letters' Harold D. Vursell Memorial Award for prose style. He has been the literary editor of GQ and the deputy chairman of the National Endowment for the Humanities. He lives in Washington, D.C.